bag - Packaging search, Product search, information search - CHAOAN HENGTAIDA PACKAGING INDUSTRY CO., LTD. 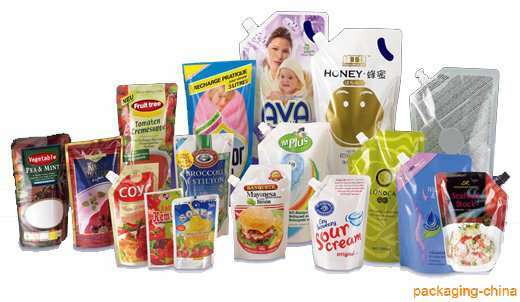 Flexible Packaging Services --- Plastic Bags And Films Flexible Packaging helps makers of dry,granular products replace their paper bags and boxes with high barrier,flexible pouches that emphasizes brand quality. Our on-site packaging services include filling of the following: bags roll films lidding films shrink label Solve Your Plastic Bag Challenges What type? What size? Thickness? Best price! We'd love to solve your bag problems and find the best plastic bag solution for you. Expect us to use all of our decades of knowledge and experience to help you. We are delighted when a bag we suggest exceeds your expectations. It makes our day. Need Samples? The best way to make sure the bag you order is perfect for your needs is to ask us to send you samples. We are always happy to do that. Three-Dimensional Pouch Strong heat sealing good resistance to pressure and drop, non-breakage and non-leakage. Bottom structure stand up bags,nice style,special design. Application :tea packaging,medicine packaging,sugar packaging or other deluxe consumable. Stand Up Zipper Bags Strong heat sealing good resistance to pressure and drop, non-breakage and non-leakage. Can be opened repeatedly if zipper is added, convenient to use, easy to store and good air tightness. Suitable for packing jelly, pet foods, detergent powder. Stand Up Nozzle Bags Strong heat sealing good resistance to pressure and drop, non-breakage and non-leakage. Can be opened repeatedly if spout is added, convenient to use, easy to store and good air tightness. Special bottom design and nozzle,Can be re-used.Good choice for liquid beverage,jam,powder and particulate. Suitable for manual or auto filling and sealing. Need samples of Spout Pouch before making your buying decision? Just ask us. We will be delighted to send you what you need.